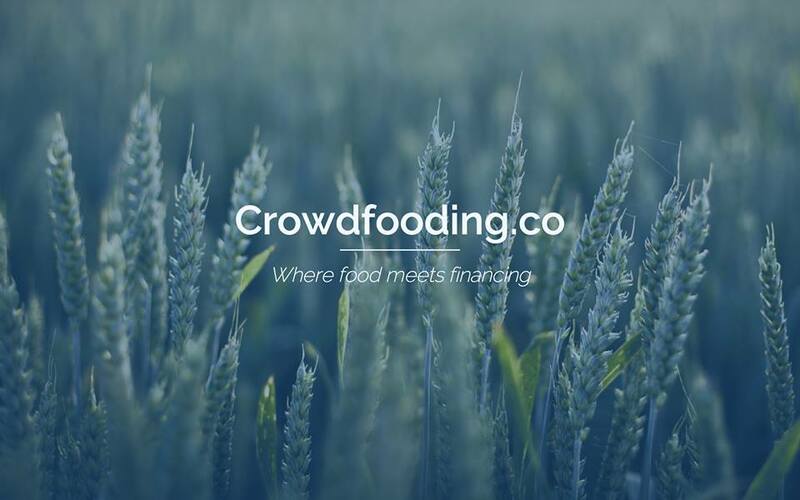 Today we are delighted to introduce our readers the launch of a new startup: Crowdfooding. Let’s talk about this new initiative with the ideator, Alessio D’Antino. What is crowdfooding? Which kind of problem do you want to solve? Crowdfooding is an equity-based crowdfunding platform for food startups that connects food entrepreneurs with investors. Food startup companies have hard times finding knowledgeable investors in their (food) space. Furthermore as capital-intensive ventures (e.g. physical products) food startups might need more funding than other startup companies. Therefore, we believe there is an untapped demand of food-related startup companies who can have a crowdfunding opportunity. While we’re building the platform we have recently released a first version of Crowdfooding’s investors listing tool, an online database that helps food entrepreneurs identify the most relevant investors in the food & beverage sector. How are you different from kickstarter and other crowdfunding platforms? For the time being, our platform will only allow accredited investors to complete equity-based transactions (as opposed to all individual with reward-based model – Kickstarter). Moreover we’re integrating our investor listing tool into the platform to help food entrepreneurs scout the most relevant investors for their venture and connect with them easily and effectively. Our goal is to make the fundraising process easier by matching food-related deals with investors based on their investment expertise. Which is the first step in your road map? We have just released a first version of our investors listing tool to help food entrepreneurs identify the most relevant investors for their venture. We are developing the platform (which we’re planning to launch in the next few months) and working on some new features to add to our investors listing tool. The team is composed by four members (1 web developer, 1 designer, 2 business people) based in between San Francisco and Italy. What can you say about the future of the crowdfunding industry? We believe the use of equity-based crowdfunding for startup investment purpose will grow exponentially in the next few years. Currently, according to the SEC regulation, only accredited investors are allowed to invest in startup through equity-based crowdfunding in the United States. For an individual to be considered an accredited investor, he/she must have a net worth of at least 1M$ not including the value of their primary residence or have received yearly incomes for at least $200,000 for the last two years (or $300,000 together with their spouse if married) and have the expectation to make the same amount this year. As these days accredited investors can invest as little as $1,000, we believe the US regulation will soon allow any individual to invest in startup companies making equity-based crowdfunding a even more powerful way for raising funds. Alessio D’Antino, is a marketing professional and startup aficionado with experience in marketing management. He has directed marketing initiatives for a top-international beverage company as well as startup companies at different stage of development, helping international founders develop and execute their marketing plans. He moved to San Francisco in 2013 to join a startup incubator where he has led the business development efforts and been involved with the development of educational programs to promote and foster entrepreneurship. A global citizen at heart, he has lived and worked in Italy, South Korea, Australia and U.S., where he is currently based. He earned a BS in Business Administration and an MS in International Management from the University of Torino.